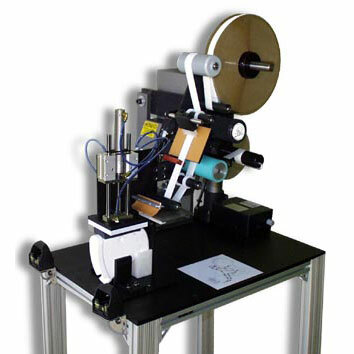 Table Top Labelers are standard labeling heads that are mounted on a base suitable for placement on a work bench or table top. 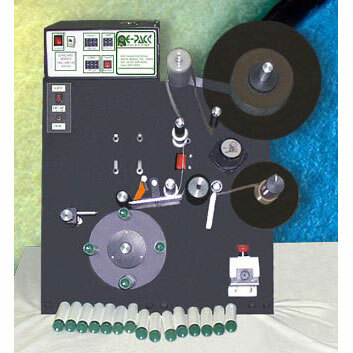 The base is configured for manual placement and removal of the product to be labeled. 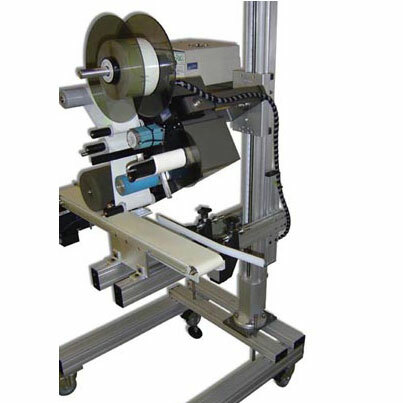 Table Top labeling Systems of numerous types that can be used in lower volume production or in operations where products require extra special handling. 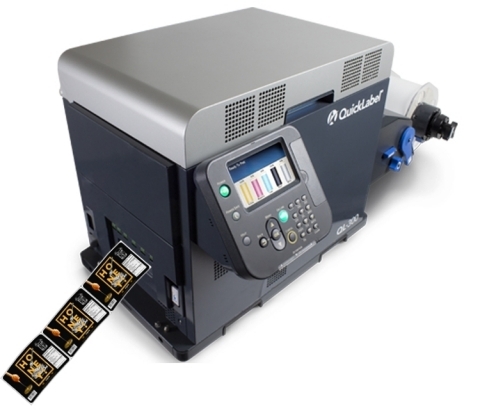 What is a "Table Top Labeler” and is it what you need? 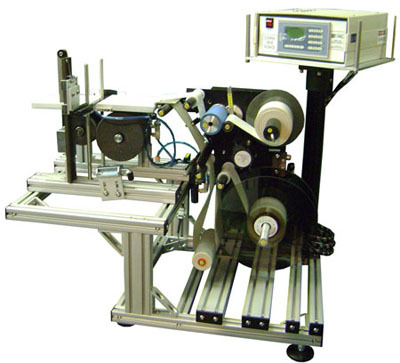 Does your production output allow for a labeling rate of approximately 20 labeled items per minute? 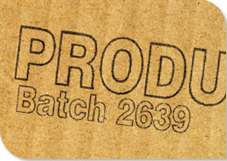 Does your product to be labeled require special handling to prevent any possible damage? 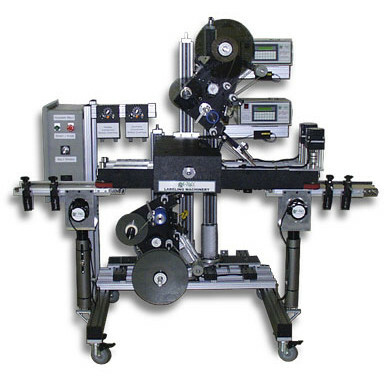 Does your production operation and budget prevent you from purchasing a fully automated labeling system? 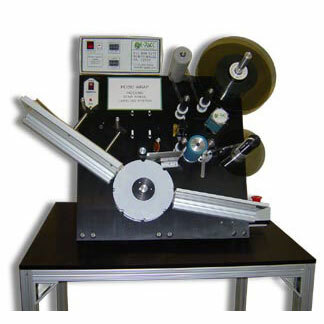 No matter if your product requires a wrapped label, or a label applied without anything touching the product, or is of such a unique shape as to require special handling we can offer a table top (bench top) system to meet your need. At Griffin-Rutgers we understand these problems because we have over 30 years of labeling system experience. 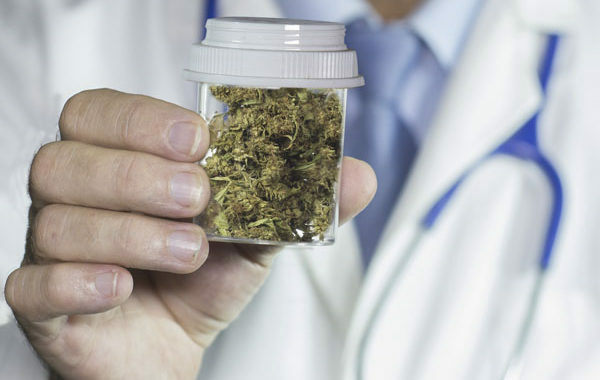 Call and tell one of our engineers about the product you need to label and we will help you find the best system for your need and your budget. 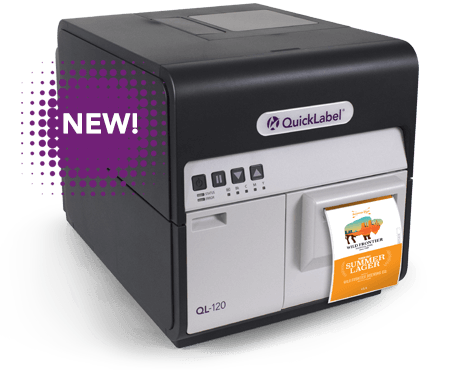 Please review the articles below for news about Table Top Labeling Systems. 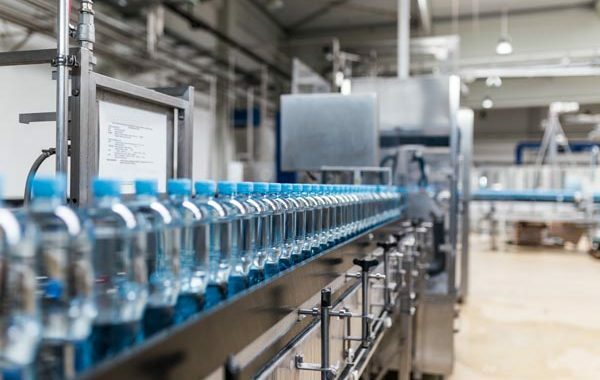 If you have questions about the best system for your bottle labeling application, call Griffin-Rutgers and allow us to apply our 50 years of experience to help you find a solution to your specific need.